Andrew Lane is a Professor of Sport Psychology at the University of Wolverhampton. He is accredited from the British Association of Sport and Exercise Sciences (BASES) for scientific support and research and Chartered Psychologist with the British Psychological Society. He has authored more than 100 peer refereed journal articles and edited two books. 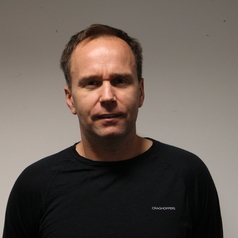 He is a member of the Emotion regulation of others and self research network (www.erosresearch.org) investigating emotion regulation in sport and other settings. He sits on the editorial board of the Journal of Sports Science and Medicine and Journal of Hospitality, Sport, Tourism, Education, and advisory boards for the Journal of Sports Sciences. He has organised two national conferences, including the annual BASES conference. His applied work has involved a number of clients including the English Institute of Sport and the London Boxing Association working with an athlete preparing for World Championship contests. A former amateur boxer, he remains active in sport as a runner and duathlete and after shedding 20 kilos is enjoying competition again.